Now we play all the time. My name is Kgomotso and my mom’s name is Tumi. We came here to Malamulele Onward to help my mom to learn how to play with me. “We want to be an example to the community and to show people that they can have love for children even if they have Cerebral Palsy (CP)”. 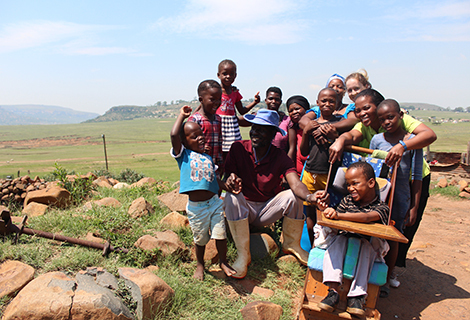 Frovian Mokoena and Gracious Mumi are leading a new path in the Matikwana community, in rural Mpumalanga. This week for #TherapistThursday, in celebration of International Womens Day, we are celebrating Shannon Morgan, an Occupational Therapist with a heart for everything rural. Shannon grew up in a small town, Willowmore, in the Karoo – rural living is in her blood. After graduating from UCT in 2007, she did her community service year at Zithulele Hospital in the Eastern Cape. She liked it so much that she then stayed on till the end of 2012. 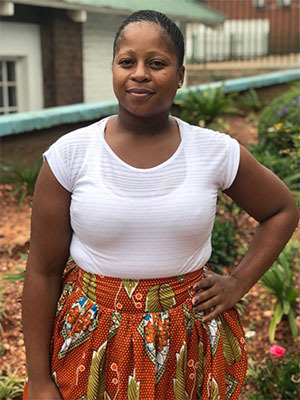 Shannon then worked for the CP Association in PE for a year in 2013, but Zithulele called her home, this time as a project coordinator for the Rural Ability programme, for the Jabulani Foundation. 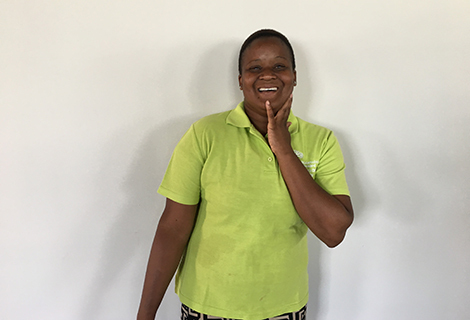 Ruth has worked with Malamulele Onward (MO) as a parent facilitator - a mother who teaches other mothers about Cerebral Palsy(CP) - for 4 years. Originally from Zimbabwe, she lives in Johannesburg with her husband and son, Tatenda. 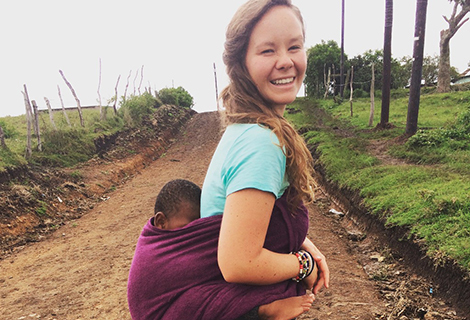 She has a passion for teaching and empathises with mothers who are experiencing the same sense of helplessness that she once felt. "Is the food ready for the day?" The love that has no boundaries…. 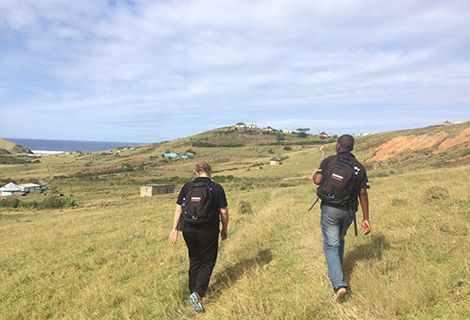 Neliswa Ndala is a granny who lives in rural Eastern Cape with Alungile who has Cerebral Palsy (CP). 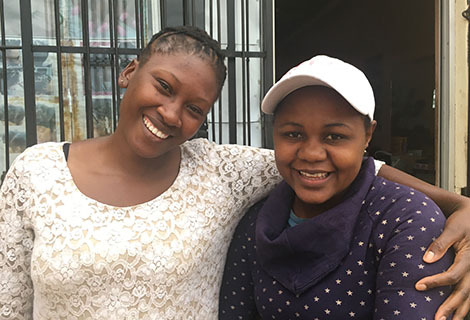 Alungile was abandoned when she was young and Neliswa adopted her and took her into her into her life like her own daughter. 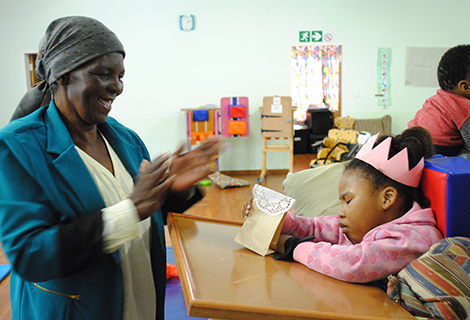 It is not easy to look after a child who has CP, but Neliswa does. She loves Alungile so much she travelled all the way to Johannesburg to bring her to Malamulele Onward. Each day looks very different as we have a fair amount of different clinics we have to plan and run at the hospital but also at various surrounding clinics. The types of clients we see on a daily basis can also vary quite a lot and I sometimes end up seeing both children and adults all ranging from physical, scholastic or psychological difficulties. My day is generally broken up into sections of admin, physical contact/ treatment sessions in the ward, some DIY to make something for a client, some more physical contact in our rehabilitation ward, one or two sessions of counseling and some hand therapy all mashed up into one day.